Hearing this anecdote took me aback, and led me to wonder, what exactly is “executive presence”? Perhaps more importantly, why is this company measuring potential employees’ success by how loud the candidate speaks? Forbes defines executive presence as the ability of a leader to inspire confidence in their teams. However, Forbes’ definition mentions nothing about loudness as an indication of this. On the contrary, it describes effective listening as a key skill for executive presence. 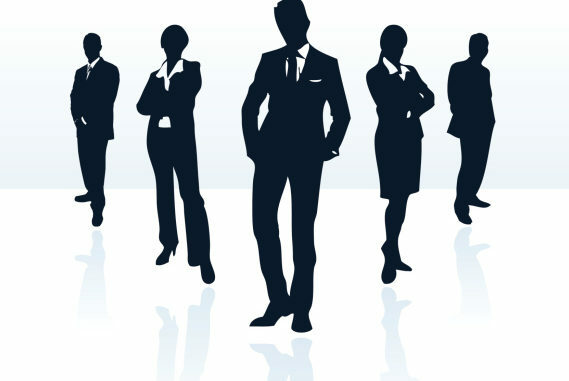 Perhaps the definition of executive presence varies by company; certainly different company cultures will prize different qualities in prospective employees. But it is hard for me to imagine why any company would specifically look for someone who is loud. I can only guess at what the employee from the above story meant when they said this, but if they truly meant they wanted someone who was louder, or spoke at a higher volume, I don’t believe this is a good metric with which to measure people. There are many examples of leaders who are soft-spoken, yet somehow command a room. 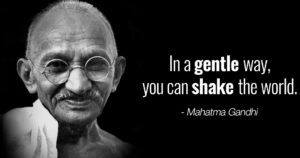 Mahatma Gandhi said, “In a gentle way, you can shake the world.” And what an example of gently shaking the world he was! Despite his more subtle demeanor, he attracted a huge following that lives on today in many ways. Similarly, I have had professors in school that are relatively quiet, but keep the attention of the class throughout the entire lesson in other ways, such as the quality of their content and examples. By comparison, I have had professors that speak at a much louder decibel, yet the class’ attention wanders because of their delivery. Maybe we need to rethink the meaning of the phrase “it’s not what you say, but how you say it.” The focus on how you say it should not be on whether the speaker is loud, but on whether they deliver the content in a captivating way. 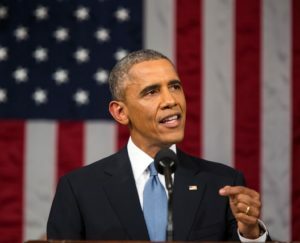 Yet another example of a more mellow leader is former President Barack Obama. His presidency was marked with speeches that were not intended to rattle the eardrums, but were thoughtful, deliberate and respectful in content and delivery. Softer spoken leaders may lead in a different way than those who project at a higher decibel. But maybe this isn’t a bad thing; being loud can be interpreted as overconfidence or arrogance. Humility involves listening more than speaking, meaning that quieter individuals may, in contrast, be viewed as more humble. When I think of someone like former President Obama, I think of his softer, more determined and humble delivery. When I think of current President Trump, his loud, often unplanned speech, seems much less intelligent and more boastful. Being quieter doesn’t necessarily mean someone is an introvert, or that they are uncomfortable leading. Often it just means that these people are weighing every word before they say it, thinking carefully and strategically along the way. Are these not qualities we desire in our leaders? Personally I admire these people – as someone who wears their heart on their sleeve, sometimes it’s very difficult for me to stop and think before I speak. For me it takes a conscious effort; why wouldn’t a company want people who can do this naturally? Maybe it’s because I know this fellow T-bird better than the interviewer does, and after all, I wasn’t there to witness the interview. But I know this person to be an incredibly respectful, humble and thoughtful individual, who yes, comes across as soft-spoken and quite the opposite of loud. Different teams need different types of leaders, as do companies with varying cultures. But I think firms are greatly missing out on true assets to their company if they overlook interviewees who speak a little softer. Maybe in the case of these people we need to pay a little more attention to what they say rather than how loudly they say it.